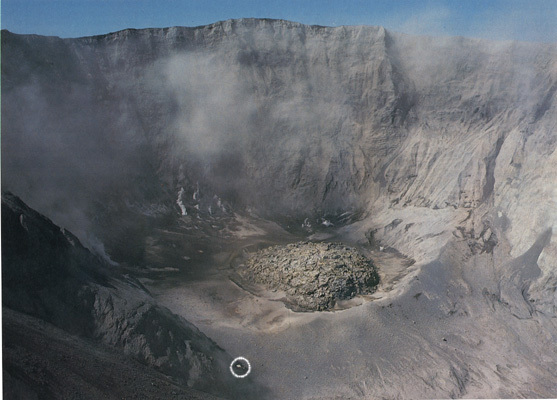 View of the first lava dome (mid-June) that formed in the bottom of the crater created by the May 18, 1980, eruption. Helicopter (circled) gives scale. This dome was destroyed during the eruption of July 22, 1980 (Photograph by Robert Tilling).